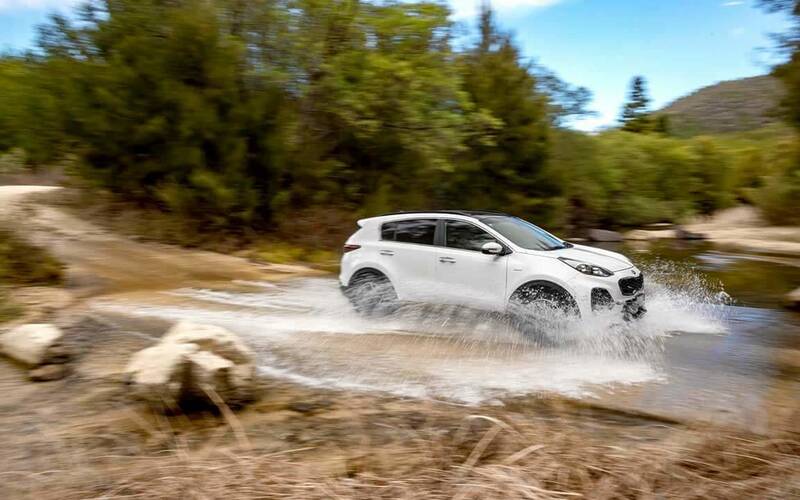 The revitalised Kia Sportage is the perfect car for busy, ever-changing lifestyles. Spacious, premium and comfortable. The Kia Sportage is the perfect vehicle for your young growing family. Because feeling young never gets old. 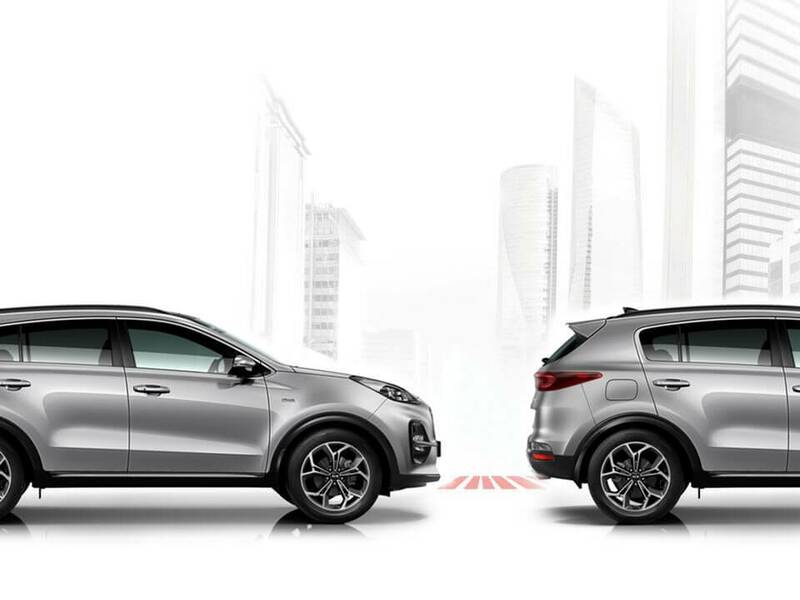 The Sportage is striking from any angle. Its athletic, bold stance makes it a stand-out on the road. 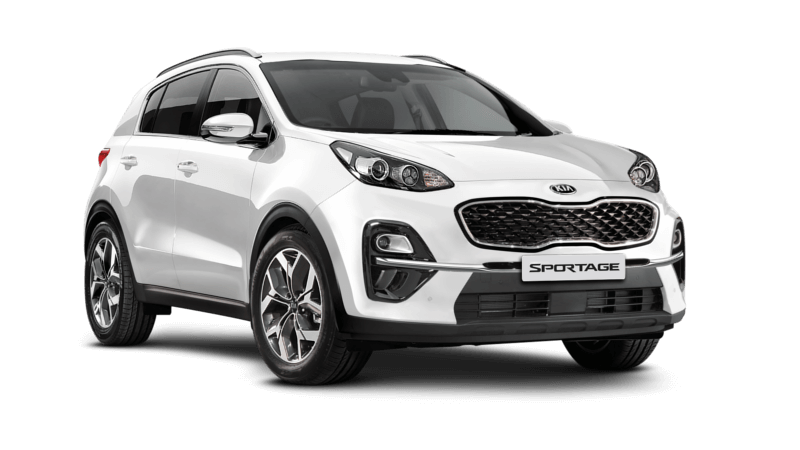 The Sportage silhouette features progressive lines that showcase its distinctive design. 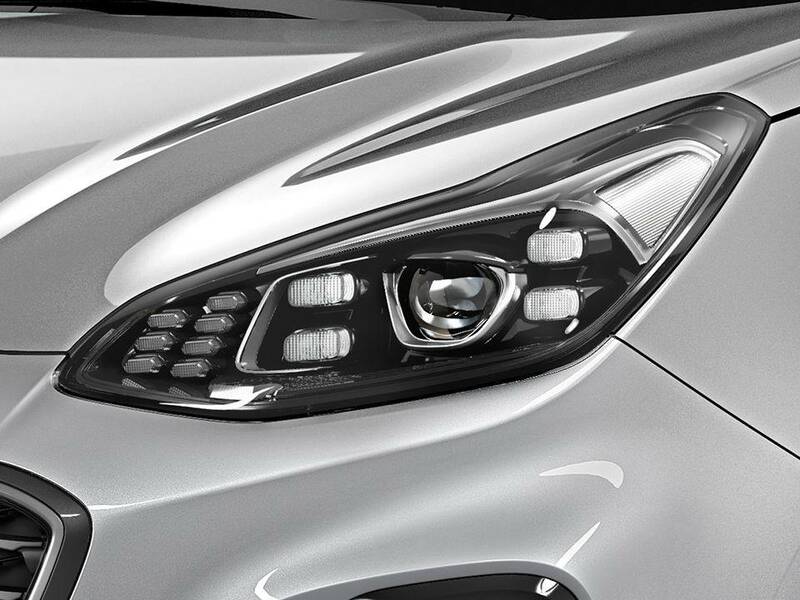 Stylish LED headlights with DRLs offer enhanced illumination, enabling you to better view the road ahead. LED DRL available on GT-Line, SLi and Si Premium. Available on GT-Line & SLi. 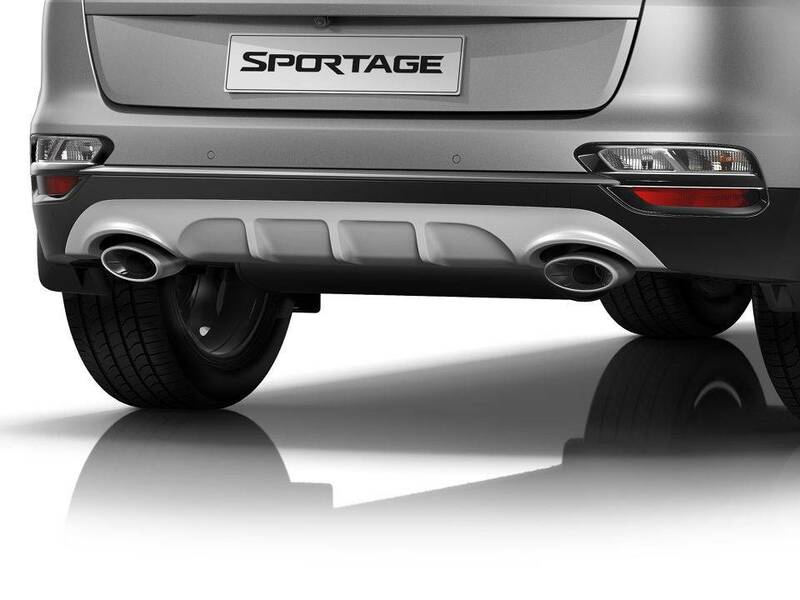 Rear skid plates and dual chrome tipped muffler adds a touch of sportiness. 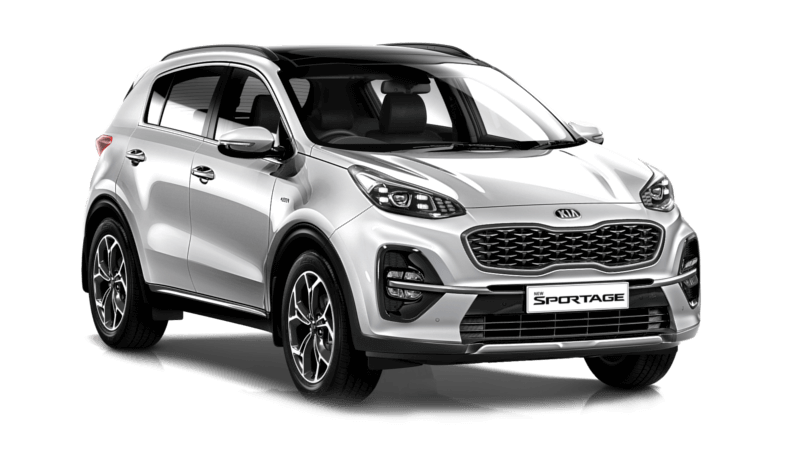 Three striking designs are available across the Sportage range, all with full size spares. 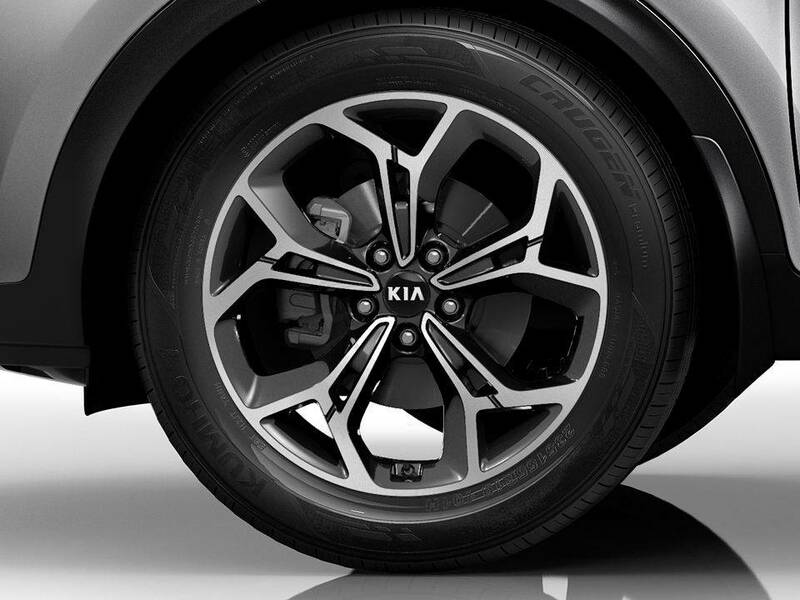 18" Alloy wheels available on SLi & Si Premium. 17" Alloy wheels available on Si. 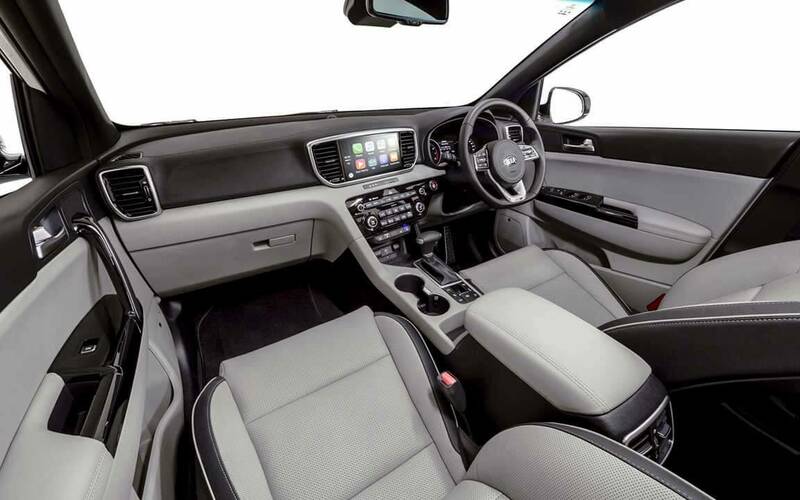 An ergonomic interior layout and wide dashboard enrich the driving experience. High quality materials are adorned across the spacious cabin, expertly blending satin & chrome highlights with soft touch materials. 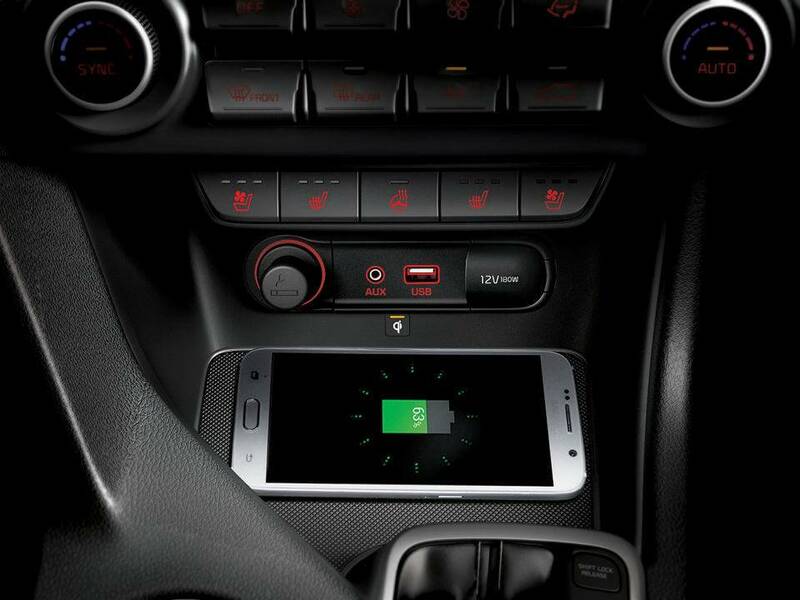 A premium infotainment unit and JBL sound system 1 is included with Apple CarPlay™† and Android Auto™‡ smartphone connectivity. 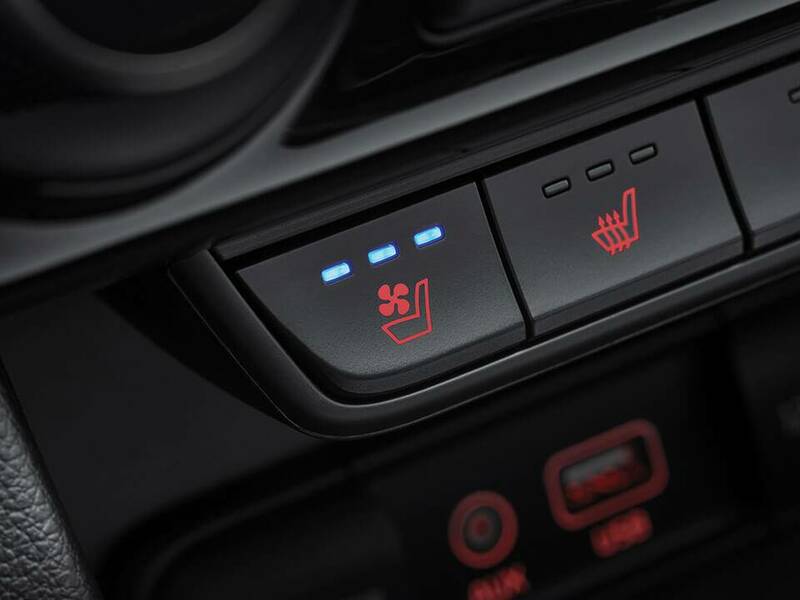 Whether the weather is leaving you shivering or sweltering, the seats can be adjusted for maximum comfort. 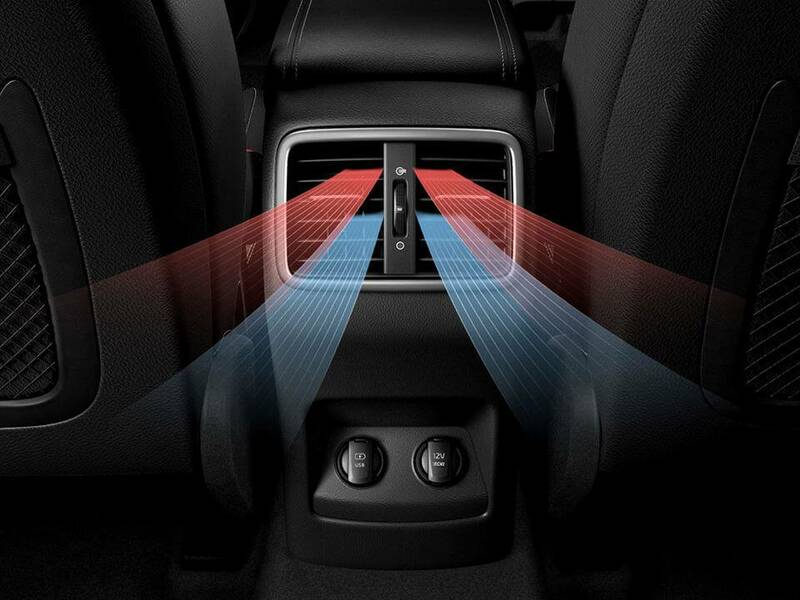 The heating in the front seats offer three levels of adjustment, perfect for those extra cold days. For ventilation, fans are embedded in the seat cushions to pump gentle streams of air, providing a reprieve from hot or humid weather. 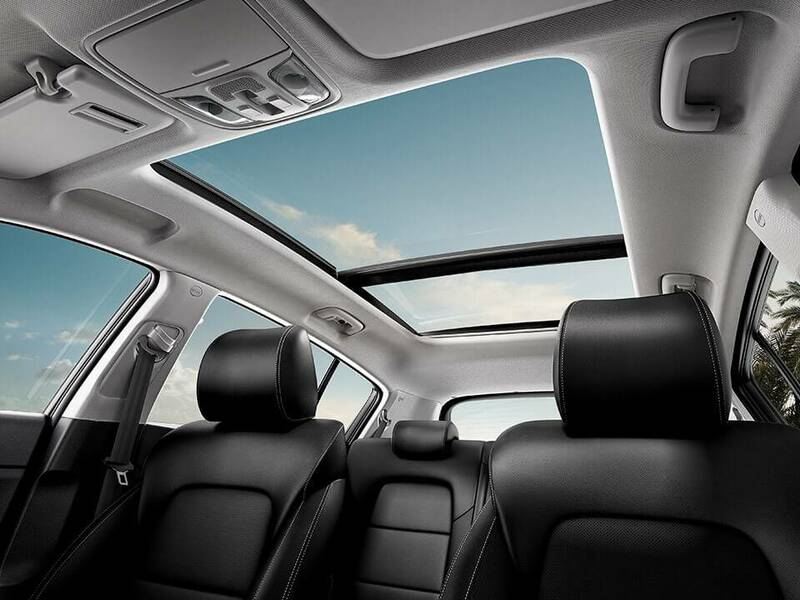 A panoramic sunroof with tilt + slide and electric blind adds an airy, light-filled feel to the cabin. 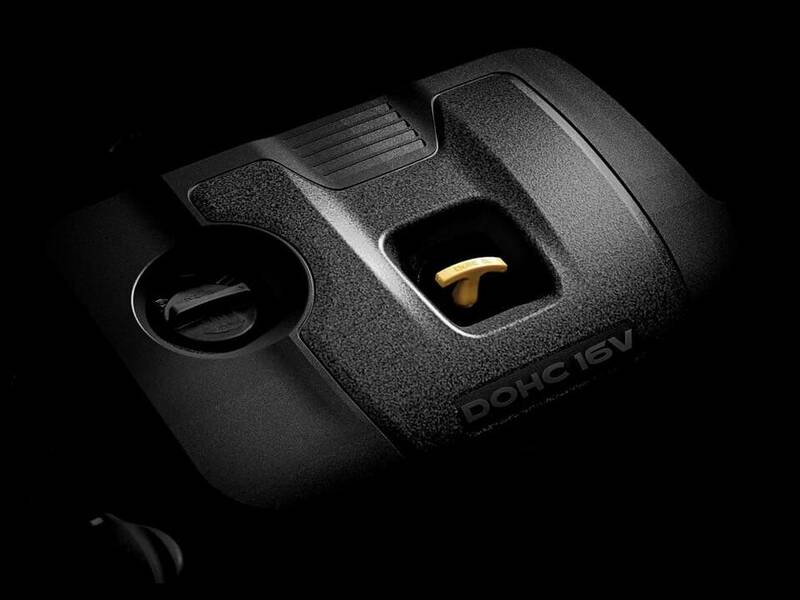 The stylish flat bottomed leather appointed steering wheel mounted with controls gives you the ability to easily engage, adjust, or disengage cruise control, all without taking your eyes off the road. 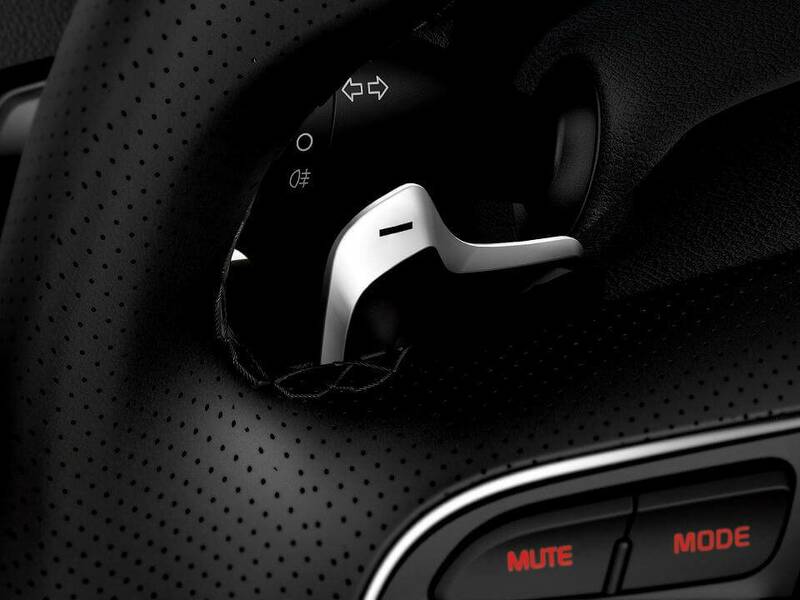 Ergonomic paddle shifters on the steering wheel also allow you to shift gears with ease, giving you more control over your drive. Paddle Shifters available on GT-Line. Leather appointed steering wheels available on all grades. 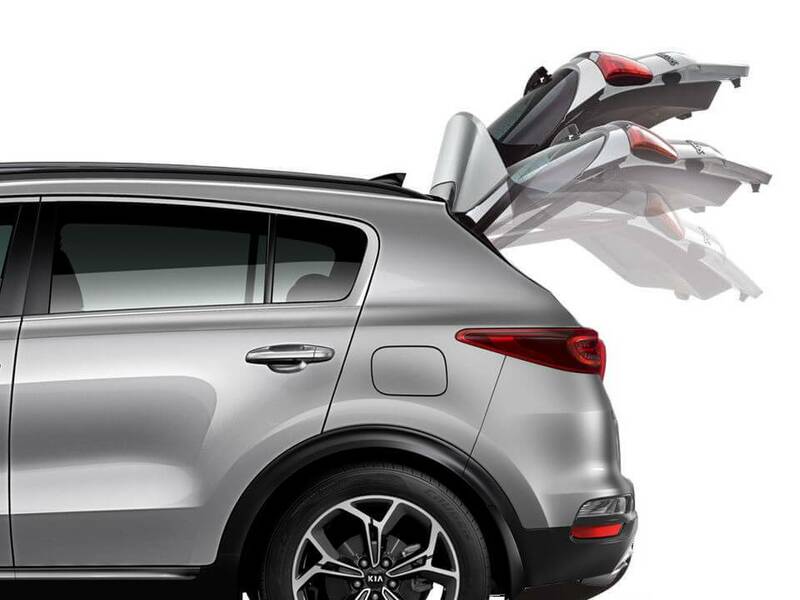 Enjoy the convenience of unlocking the doors and starting your Sportage - without having to take your keys out. Never worry about low phone battery again when you forget to bring your charging cable. Available on GT-Line. Requires wireless charging (Qi) compatible phone. 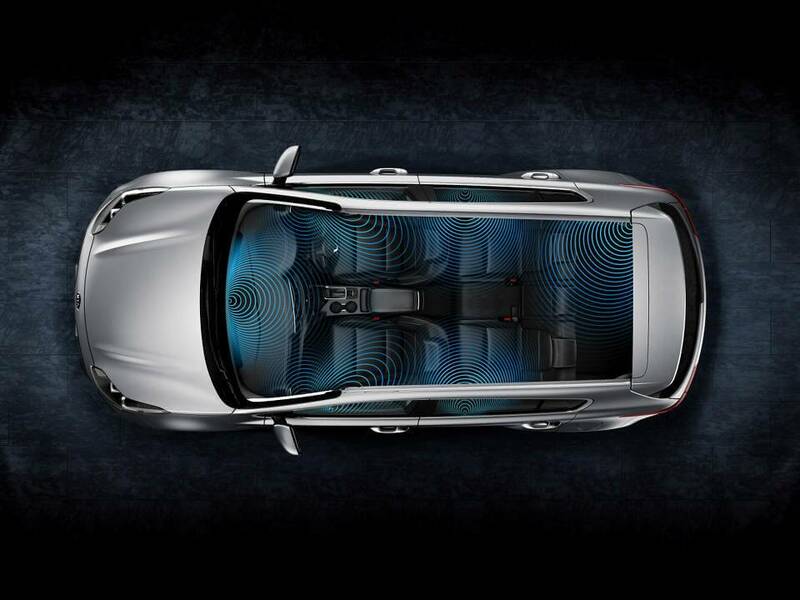 The 8 speaker premium sound system brings your music to life. Available on GT-Line, SLi & Si Premium. For the convenience of your family, a USB charger, 12V power outlet, air vent and reclining lever are available for passengers in the rear seats. 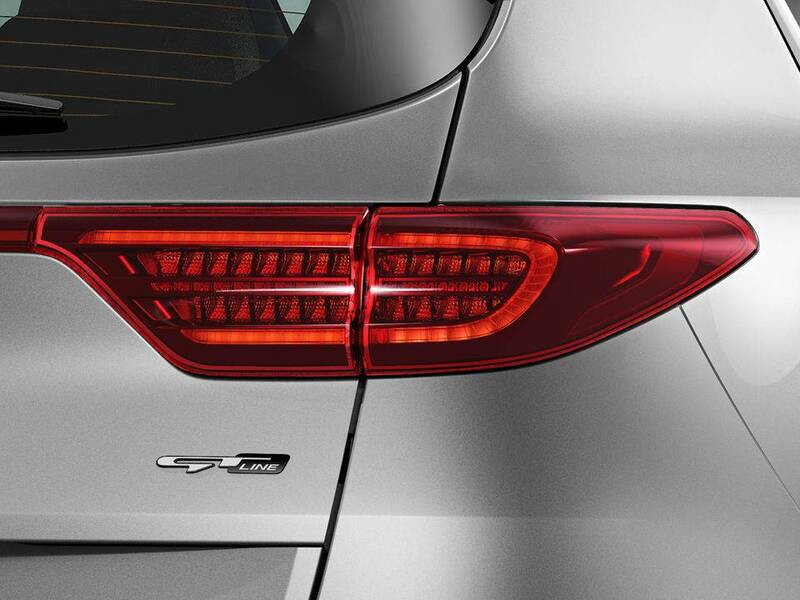 Simply stand behind the rear tailgate for three seconds with the your smart key in proximity for the powered Smart Tailgate to automatically open – perfect for when your hands are full. 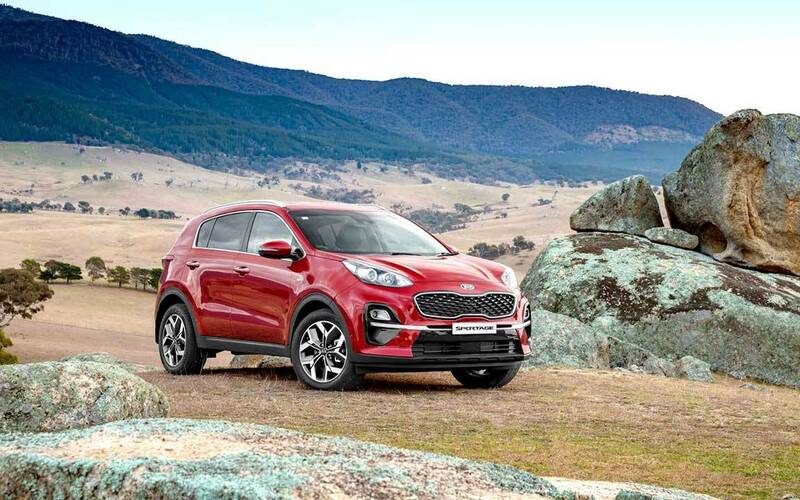 Three potent engines are available in the Sportage line-up, giving you the choice of petrol or diesel. The All-Wheel Drive diesel engine is mated to an all new 8-speed auto transmission, giving you smoother delivery of power and fuel economy. 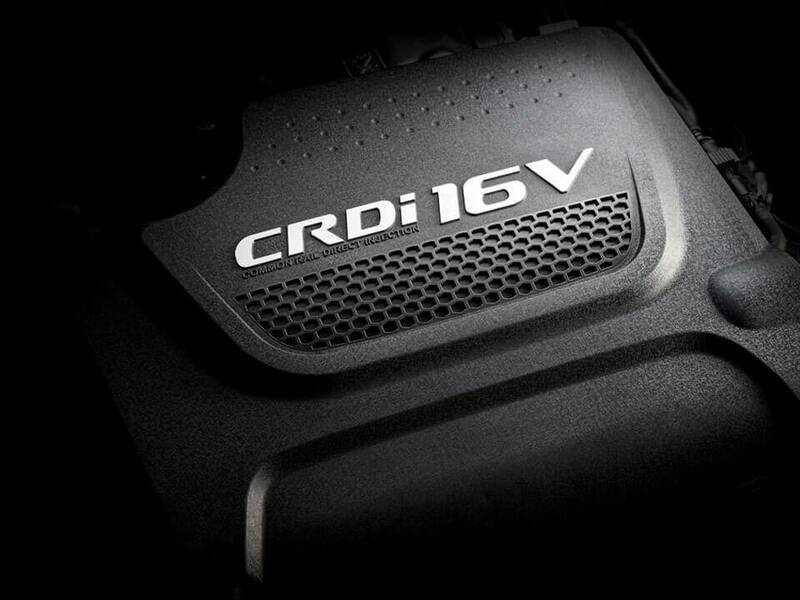 A frugal yet powerful 114kW 2.0L petrol engine features on Petrol SLi, Si Premium and Si. 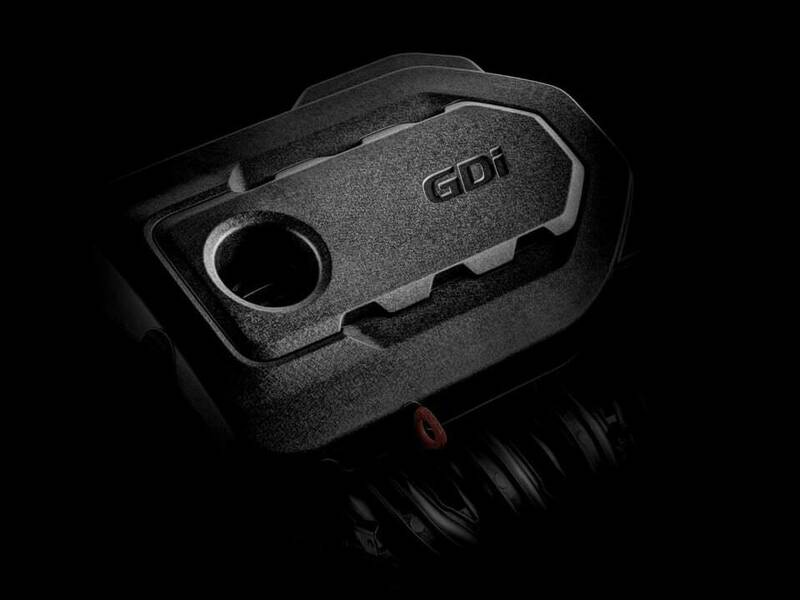 The 135kW 2.4 litre gasoline direct-injection (GDI) engine features on the GT-Line petrol all-wheel drive model. 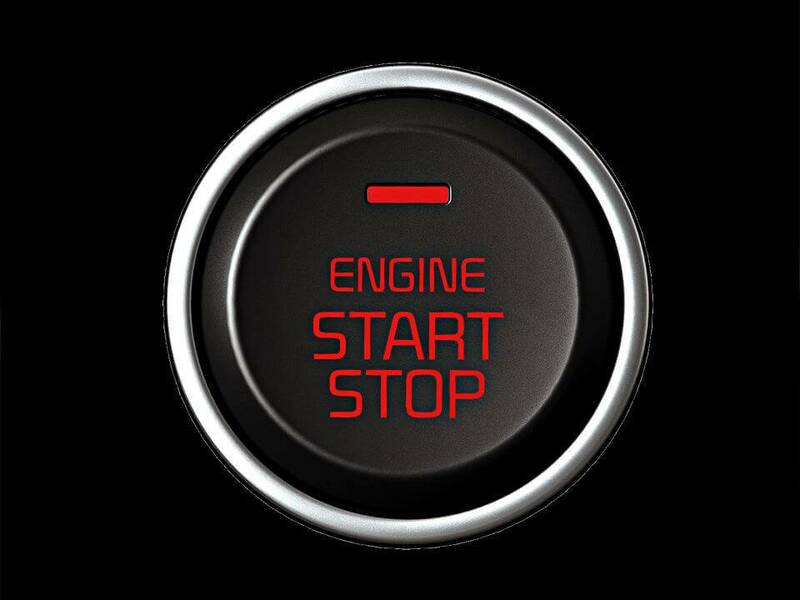 Available across the range is a 2.0 Litre turbo diesel CRDi engine coupled to an all-wheel drive system. 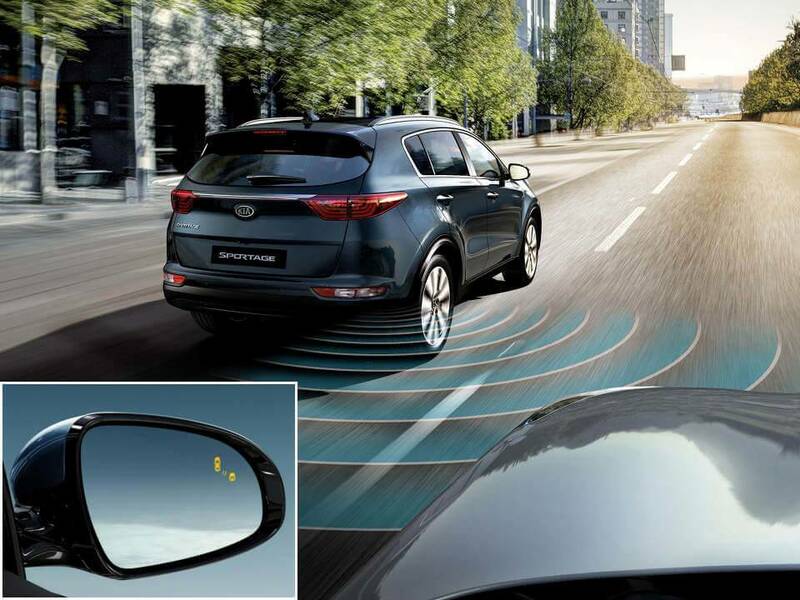 The system uses sensors to identify vehicles approaching from behind, and then alerts the driver through visual alerts on the side mirror to help reduce the blind spots on the side and rear areas. 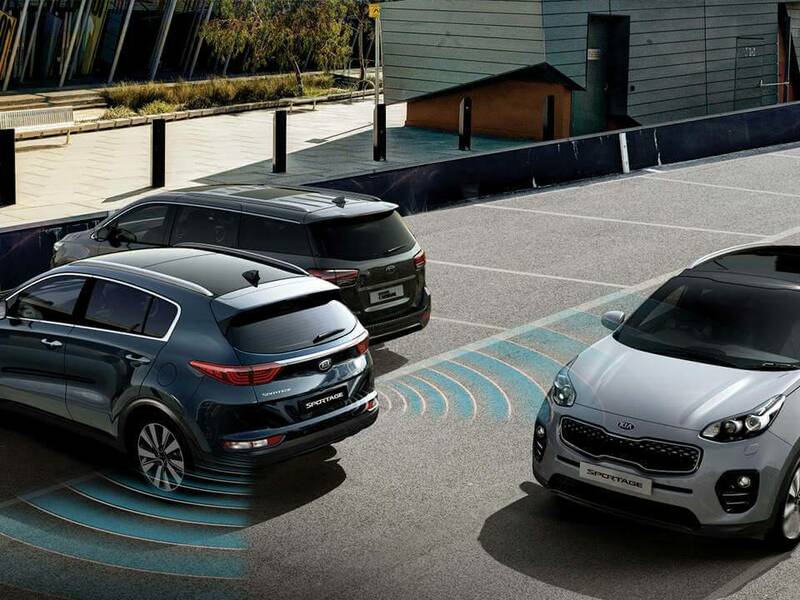 The Rear Cross Traffic Alert (RCTA) system activates when reversing out of a parking spot or driveway. 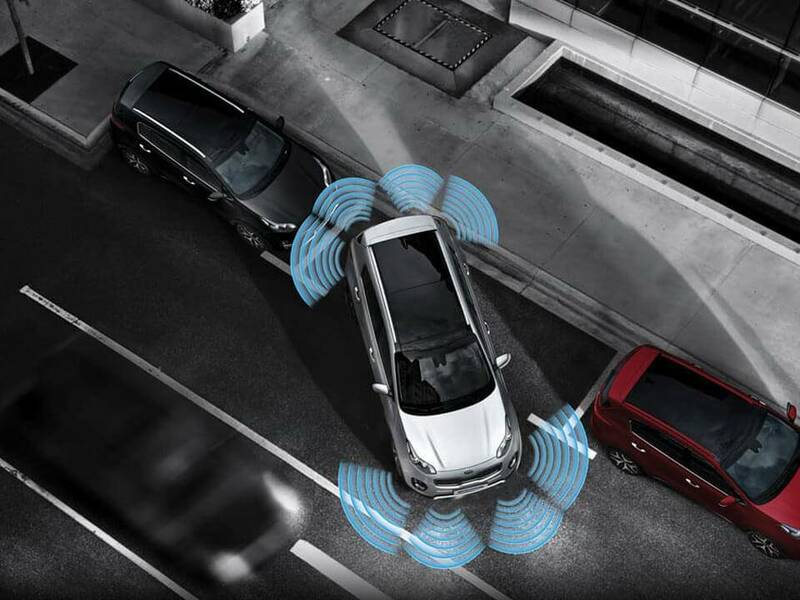 The system warns the driver if it detects any incoming traffic in either direction while the vehicle is reversing. 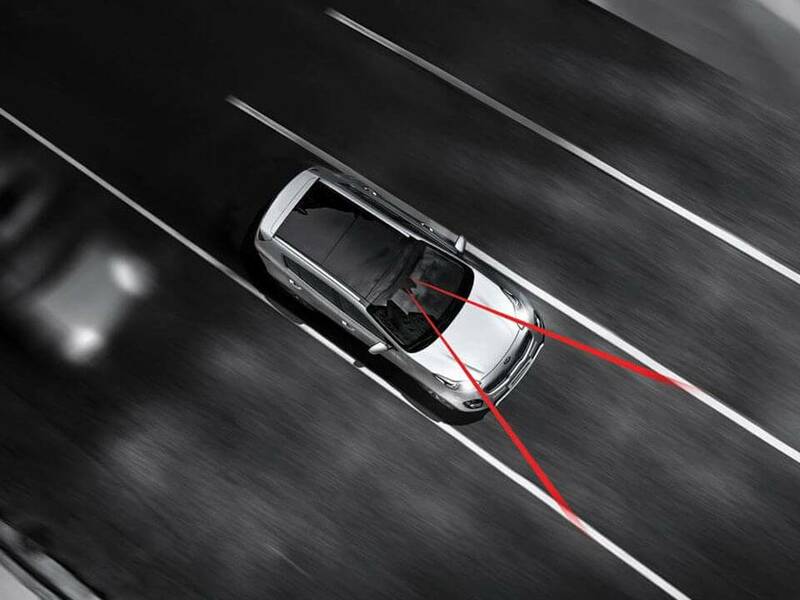 The AEB system continuously scans the road ahead, and will apply the brakes if it detects a potential of a collision to help prevent or lessen the effects of a frontal impact. IPAS helps you park the vehicle by using sensors to measure parking spaces and control the steering wheel to semi-automatically park the vehicle. A camera mounted on top of the windshield recognises the lane in which the vehicle is currently travelling in, and provides corrective steering input in order to keep you from inadvertently crossing over into other lanes of traffic. 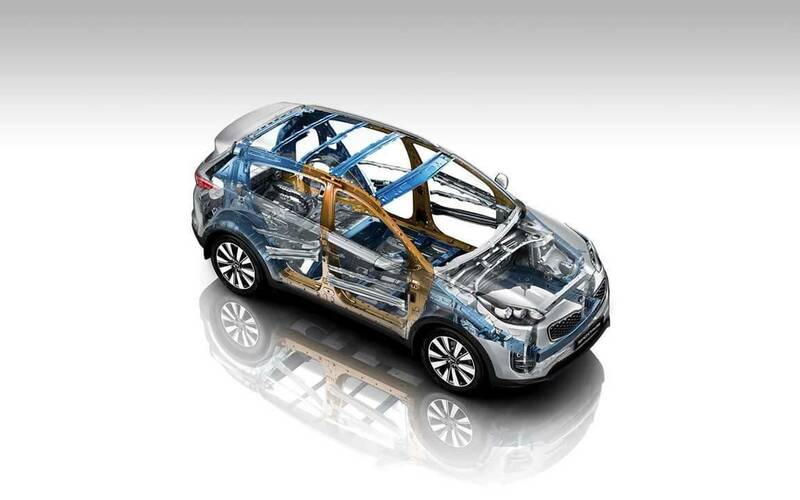 The Sportage range is equipped with 6 airbags which include side and curtain airbags. 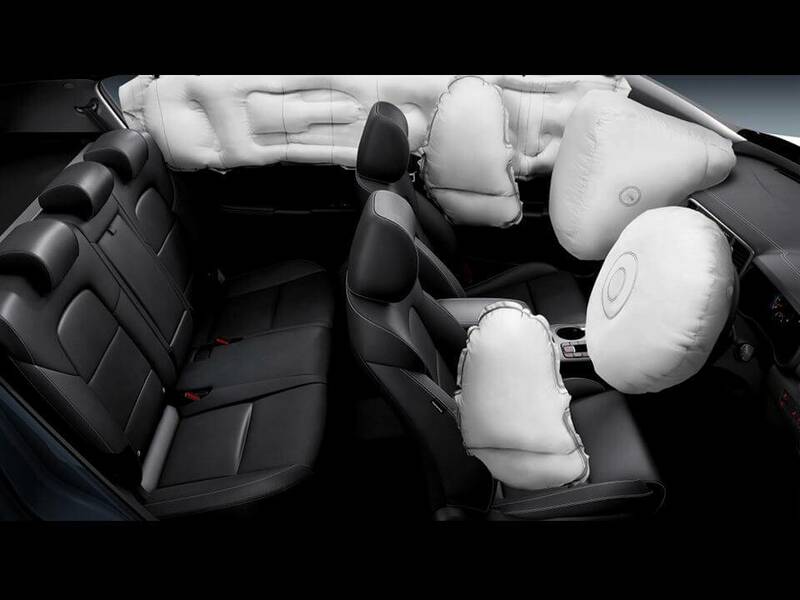 When used with seat belts, airbags provide the final line of defence and can help to significantly reduce the risk of serious injury. All information and illustrations are based on data available at the time of publication and subject to change without notice. 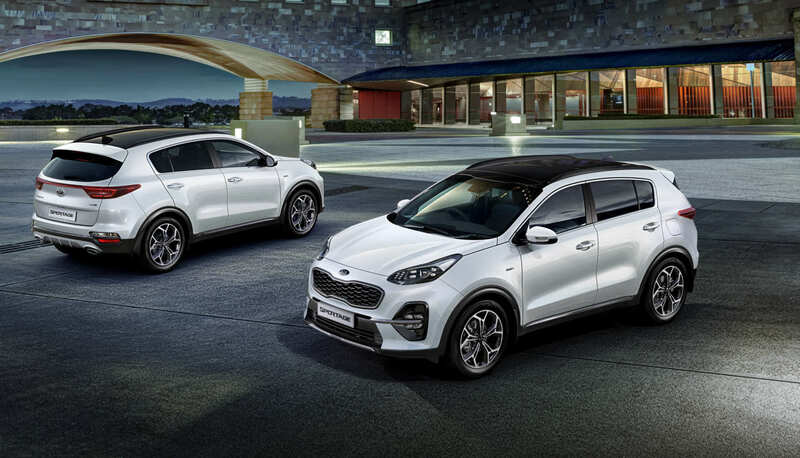 Contact your local Kia dealer for current information. *Safety technologies are supplemental systems and do not replace the need for the driver to exercise care and attention. For more information about Kia's safety systems, please see your local Kia dealer or refer to your Kia vehicle's owner's manual. †Apple CarPlay™ connectivity requires compatible iOS device. See apple.com.au for more details. Apple CarPlay™ is a registered trademark of Apple Inc.
‡Android Auto™ connectivity requires compatible Android device. See android.com/intl/en_au/ for more details. Android Auto™ is a registered trademark of Google Inc.
1Available on GT-Line, SLi and Si Premium. 2Leather appointed seats may comprise of genuine leather, polyurethane and other man-made materials or a combination thereof. 3Wireless charging compatible with phones featuring Qi technology or adapter.